I just love combining these two - seemingly not compatible - ways of expression. I think many of us (not just women) have these two sides of a coin inside of us. Sending you lots & lots of hugs. The colors and photo are exceptional and so inspiring!!!! I absolutely love your art. Can't wait till you hit the U.S.A. so I can take another of your fun and exciting classes. I think you hit it just right! Definitely 2 sides to the coin, and tHis is lovely. 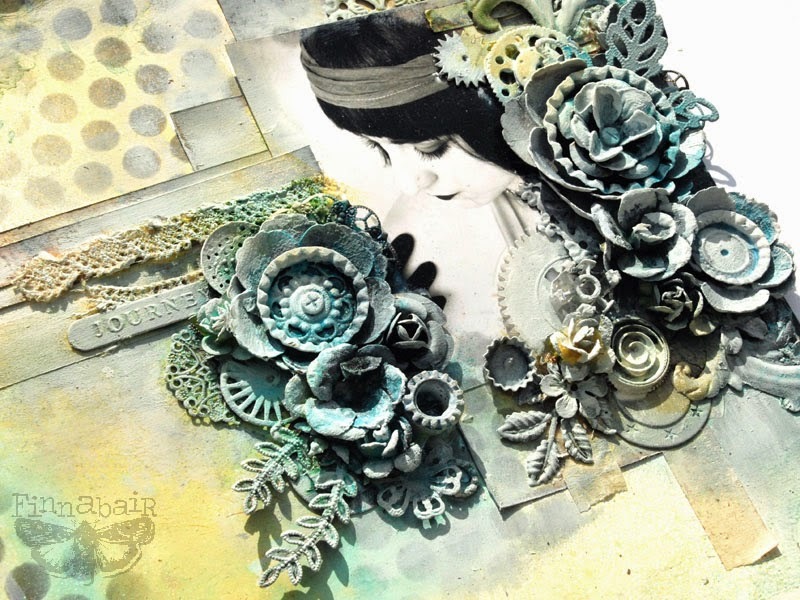 This page is wonderful, with all the layering of flowers, lace, metal -and the colors are gorgeous! 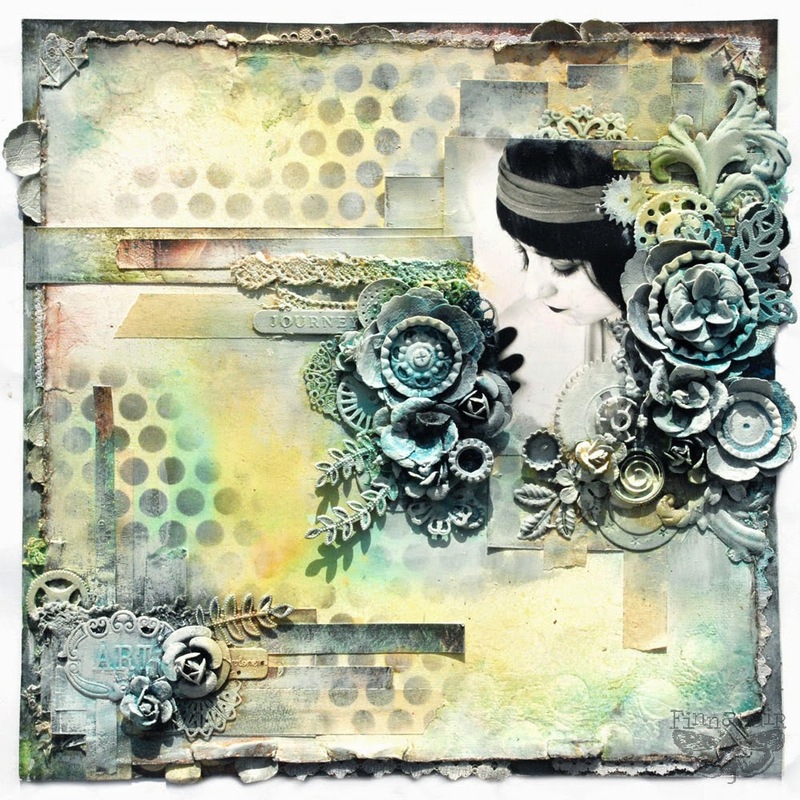 love the combination of grunge and femininity and enjoy playing with the mix too-fabulous page-love all the metal! I so adore this page!